Product #6234 | SKU LTE-503BNC | 0.0 (no ratings yet) Thanks for your rating! Hosa LED Console Lamp. The Hosa-Lite LED console lamp delivers warm, diffused light that is bright enough to work by without causing eyestrain. It features four white LEDs and two red LEDs for accurate color illumination. 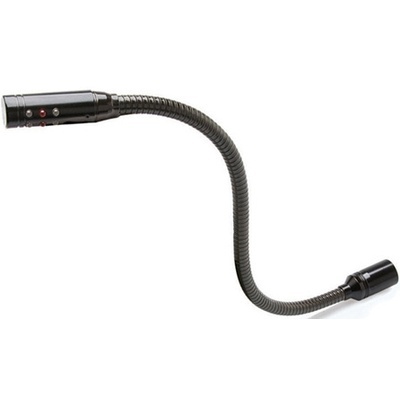 The flexible gooseneck design offers functionality anywhere a 12V BNC light socket is available, including mixing consoles and equipment racks, while durable, long-lasting LEDs make replacing light bulbs a distant memory.